Beautiful cottage located in quiet Audubon Park neighborhood. Provides a great escape after a busy day on the square or in the Grove. Cottage has 4 bedrooms, 2 1/2 baths with king master suite downstairs and queen size, full size, and twin size bed rooms upstairs. 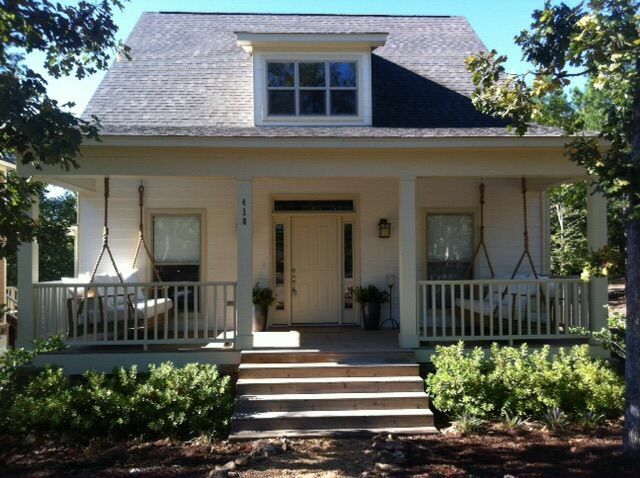 Large front porch with extra large swings for lazy days. Playground for children directly across the street. Great neighborhood for leisurely walks. Kitchen is fully equipped with plenty of dishes and kitchen supplies for cooking and entertaining. 3 miles from Big Bad Breakfast and Snack Bar. Only 4 miles from the square! Open Concept kitchen ideal for entertaining. Dining seats 6 comfortably but can add 2. counter stools seats 3 more. Keurig for coffee. Plenty of dishes and Barware for cooking and entertaining. Can add 2 more to dining table. Counter stools seat 3 more. Front deck with 2 twin size porch swings. Screened back porch (not furnished).